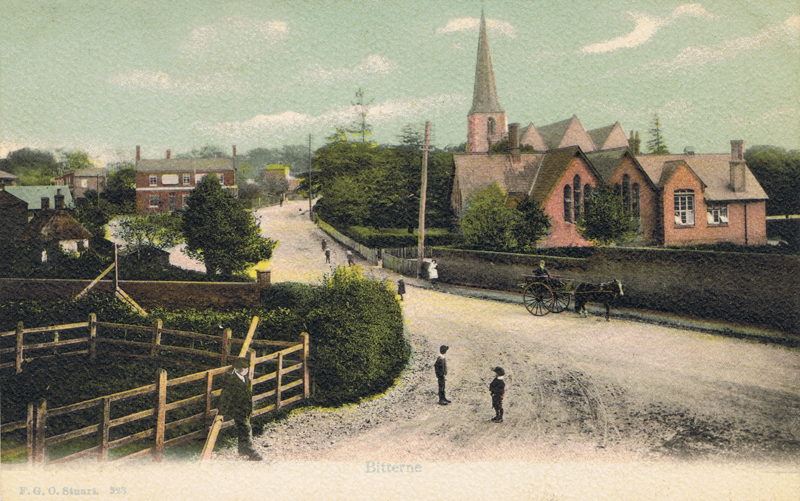 Taken from the location of the former pound (the fencing for which can be seen in the corner, the view is unrecognisable apart from the church in the background and the much changed Red Lion pub. The old church school, seen in front of the church, was demolished in the early eighties. This card is notable as it is not listed on the Jack Foley card checklist. Although an identical card was issued as 323 so this could be a simple mis-number.